NOW YOU CAN HAVE IT ALL!!! This home overlooks downtown Dahlonega to the north and the Atlanta skyline to the south. 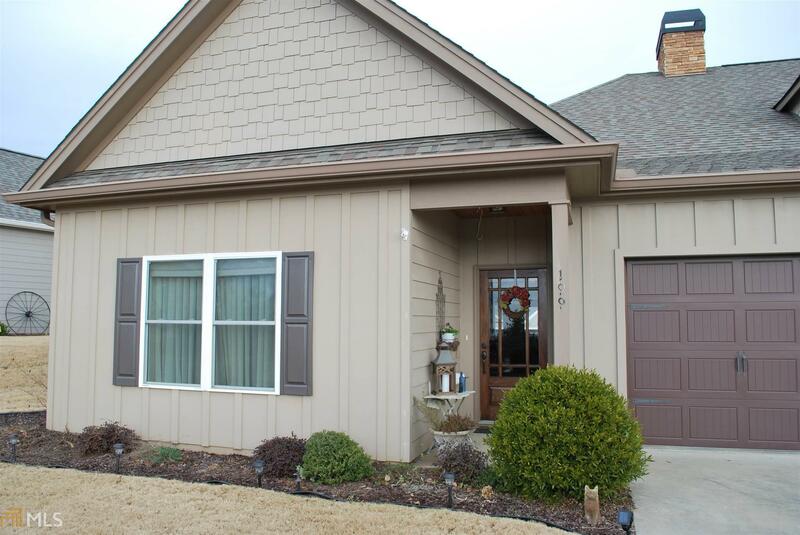 This spacious end townhouse has 2 bedrooms and 2 1/2 baths in an open floor plan. The kitchen has custom cabinets, granite and breakfast bar with stainless appliances. Formal dining room that flows into the Great Room has vaulted ceilings and a gas fireplace. Master bedroom has trey ceilings large bathroom with separate tile shower and soaking tub and large walk in closets. 2 car garage. This unit is within walking distance to Historic Downtown Dahlonega. Directions: From Ga 400 N, Turn Left On Hwy 60. Left Onto Crown Mountain Dr. Right On Mountain View. Left On Village Dr. Take The First Left & Home Is On The Right Approximately 300 Yards. See Sign.